Business Evolution is pleased to announce that Director Sarah Coleman has been made Visiting Senior Fellow (Organizational Strategy and Business Growth) at the University of Lincoln, in recognition of her academic support to the Faculty of Business and Law. Professor David Head, Dean of the Faculty of Business and Law at the University of Lincoln, said “The Faculty and the Lincolnshire Leadership and Management Centre (LLMC), which is located within it, are delighted that that the University has made Sarah Coleman a Visiting Senior Fellow. Visiting Senior Fellowships are intended to strengthen the University’s links with key people in industry, commerce and the professions, and they are awarded only to those who are highly skilled and reputable practitioners in fields of work relevant to the University. Sarah is an outstanding specialist in organizational strategy, business growth, and high-level business coaching, and the LLMC is looking forward to working closely with her to meet the development and growth needs of businesses and other organizations in our sub-region and beyond“. The University of Lincoln strongly supports local, regional and national organizations with the Lincolnshire Leadership & Management Centre. The LLMC provides conference and video conferencing facilities, as well as leadership & management and business growth programmes. Sarah Coleman, Director of Business Evolution, said “I am delighted to be recognised in this way and I look forward to continuing to collaborate, and to build on my relationship, with Lincoln University and the LLMC”. Business Evolution is an East Midlands based independent consultancy working collaboratively with private companies and public services across the UK to develop capacity and capability for sustainable growth and performance improvement. 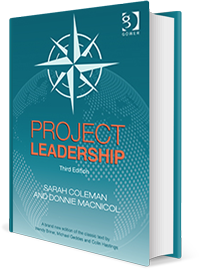 Sarah Coleman is a twice-award winning business consultant and coach helping organizations achieve business growth. Call us now and let us know how we can help you develop and grow your organization. Call us on 01636 893716 or e-mail us at growth@businessevolution.co. We look forward to hearing from you.